MADISON, Wis. (AP) – Gov. Scott Walker is asking federal emergency management officials to survey Wisconsin flooding damage later this month. Walker’s office issued a news release Thursday saying the governor has asked the Federal Emergency Management Agency to conduct a preliminary assessment beginning Sept. 24. The move is the first step in requesting a federal disaster declaration. 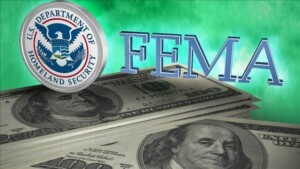 Teams from FEMA and the U.S. Small Business Administration will work with state and local officials to view damage to homes, businesses and public infrastructure such as roads and dams. Walker’s office says the survey will take about a week. The governor will use the findings as he crafts his request for a federal declaration.